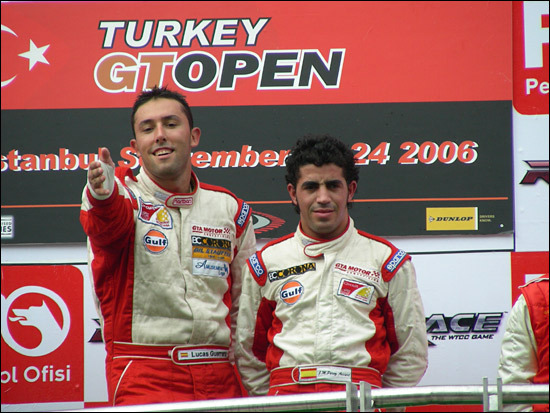 The fourth event for the new-for-2007 International GT Open series resulted in a pair of wins for the Escudería Bengala Mosler of José Manuel Pérez-Aicart and Lucas Guerrero. With Ian Flux dominating the opening stages of the British GT event a continent away at Silverstone, it was quite a weekend for MT900Rs. The GTS class also saw a pair of wins – in this case for the locals, Vural Ak and Ahmed Özgün, in the sole Racing Box Viper (the only car in the class). Race 1 was led away by pole man Peter Sundberg in the RSV Motorsport Ferrari 430, but although most teams made a late switch to slicks before the start, former F1 man Luis Pérez-Sala in the Automobil Club d’Andorra 430 stayed on wets, and he led at the end of lap 1. But by lap 4, slicks were the tyres to have, and Sala slipped back, and pitted for slicks on lap 6. Paolo Ruberti was the new leader in the Edil Cris Ferrari, from the Bengala Mosler and Pierguidi in the Playteam 430. Ruberti, Pérez-Aicart and Pierguidi had a fine old scrap, all three pitting to change drivers after 12 laps, with hardly anything between them. At this point, extra time handicaps at the stops virtually settled the outcome. Ruberti and Gianmaria had been granted an extra 20 seconds, Pierguidi and Bartyan an extra five – so the leader was, inevitably, Lucas Guerrero in the Mosler. Giannocaro in the second Playteam Ferrari passed Bartyan in the Edil Cris example for second. Gianluca Roda and Johnny Mowlem finished fourth in a GPC Ferrari 360. “I came back from 12th on slicks on a drying track to get 4th so that wasn't too bad,” said the Englishman. It was later determined that the Edil Cris pair would be dropped to third in the results (with a 25 second penalty), because one of the mechanics effected a repair to the exhaust during the driver change. Mowlem finished in front of Playteam Ferrari of Gião, the two RSV Ferraris of Romero and Severin and the Racing Box Viper of Ak (the sole contender in GTS class). On Sunday, Pérez-Aicart and Guerrero did it again, as did the Turks in the Viper. Guerrero led from the start, from Gião, Bartyan, Mowlem and Gianmaria. Spots of rain fell from lap 4, which made it interesting for the drivers, but the Mosler had an eight second advantage when it pitted. A more even spread of pit stop penalties still saw the Mosler leading in the second phase, again, thanks to its advantage before the stops, with Roda running second – but hunted down by Ruberti (up from sixth). They were right together five laps from the end, contact was made, and Roda spun down to fourth. Giannoccaro inherited third. 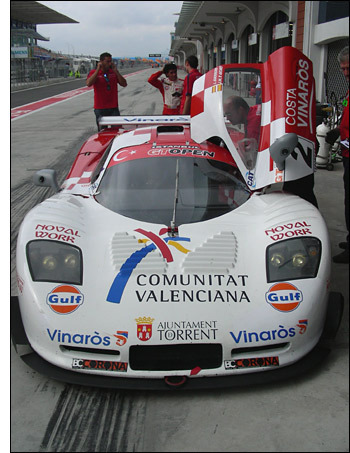 Ruberti is now second in the points, behind the Mosler drivers (below).